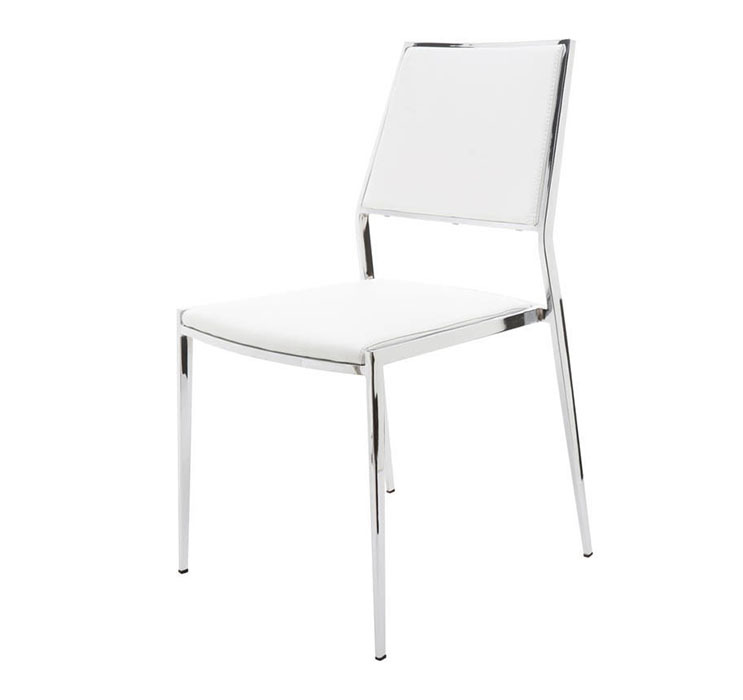 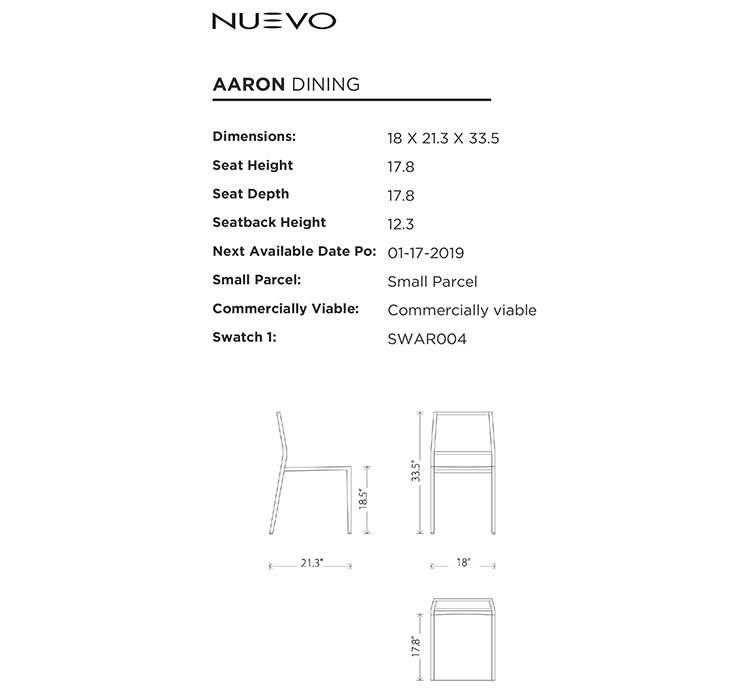 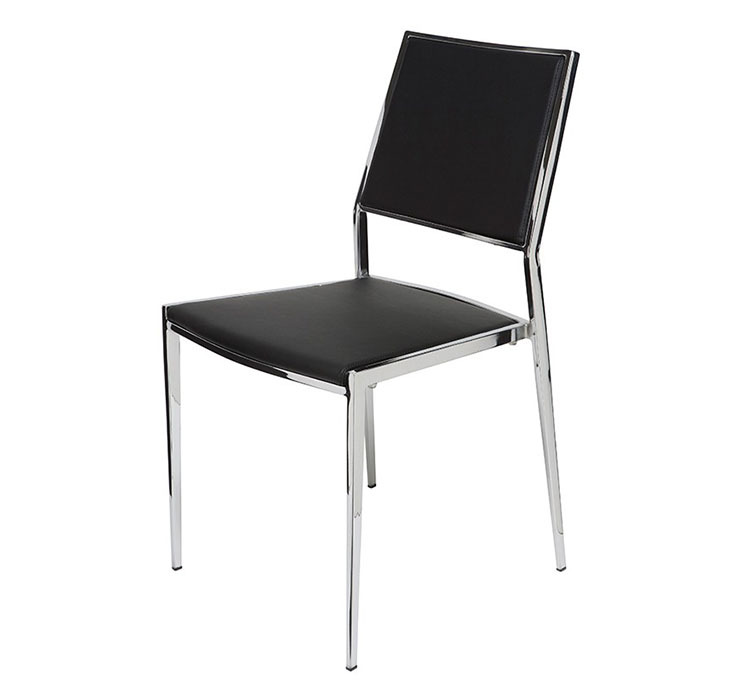 Nuevo Living Aaron Dining Chair is an alluring combination of dazzling chrome and supple, black naugahyde. 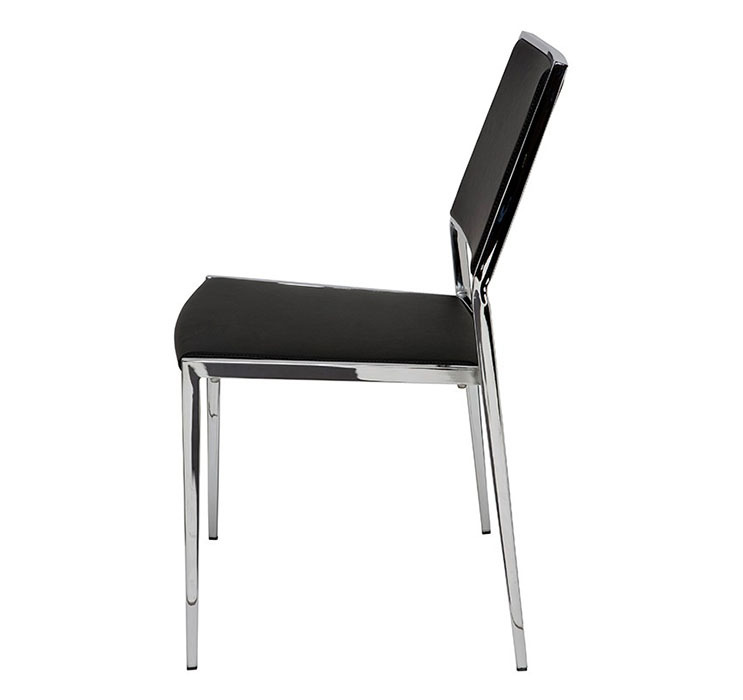 The geometric frame provides for comfort with a streamline elegance. 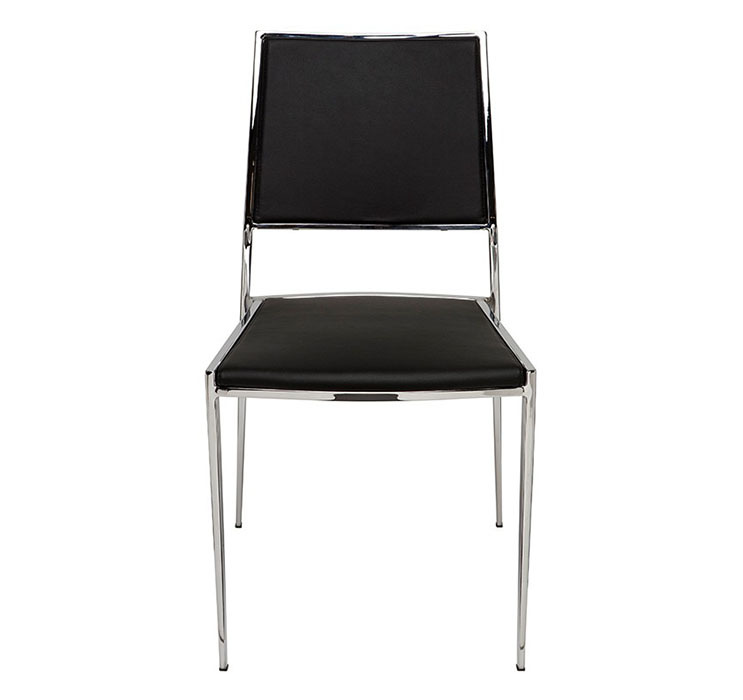 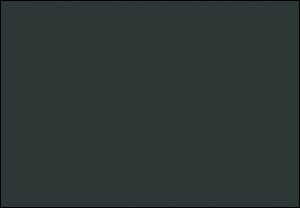 17.75"w x 22.5"d x 33.5"h, seat height: 18.5"